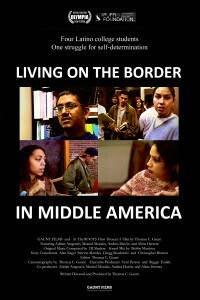 LIVING ON THE BORDER IN MIDDLE AMERICA documents the lives of four Latino college students in the mid-1990’s as they come to terms with their identity in America’s rapidly evolving cultural landscape. While possessing vastly different social and cultural backgrounds each student is a member of Junta de Acción Latina (Council of Latino Action), a Latino student organization at DePaul University. Through the group’s four student leaders (Adrián Aragonés, Marisol Morales, Andrea Durón, and Alicia Herrera) the documentary confronts issues that are affecting Latinos in Chicago and across the nation. Issues like bilingual education, self-determination, gentrification of Latino neighborhoods, and proposed laws that cut much needed learning and assistance programs for new immigrants. As first and second generation Puerto Ricans and Mexicans in Chicago these four students have decided to use their privilege of higher education to become mentors within their respective communities and push for cultural empowerment through education. The documentary juxtaposes media clips, archival footage, interviews, and location footage to paint a picture of these amazing young students, educators, and activists. 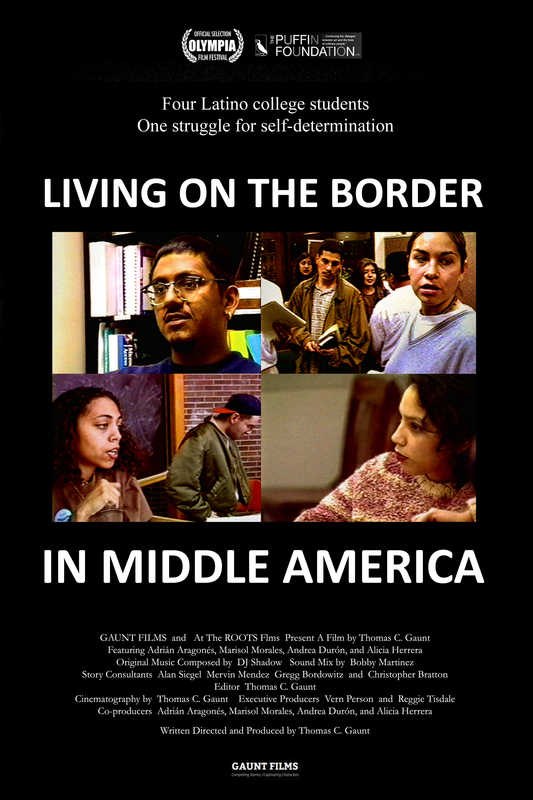 In 1997 LIVING ON THE BORDER received a grant from the Puffin Foundation and premiered at the Olympia Film Festival in 1998. Check back soon to stream the movie and purchase a DVD.